Accident insurance is commonly purchased by sports and recreation organizations and is a requirement of most General Liability insurance carriers. Accident insurance is also commonly referred to as medical expense insurance. Accident insurance pays covered medical expenses on behalf of participants who are injured during covered activities. Coverage is normally designed tobe “excess” or “secondary” so that it only pays after existing family health insurance has already responded to a claim. Excess Accident coverage is more affordable than Primary Accident coverage since it does not duplicate benefits. It meets the required General Liability carrier pre-condition for covering a participant injury lawsuit claim. Medical Limit: The medical limit should be at least $25,000 per person per accident. A policy with a lower medical limit won’t be enough to cover even a moderate injury. 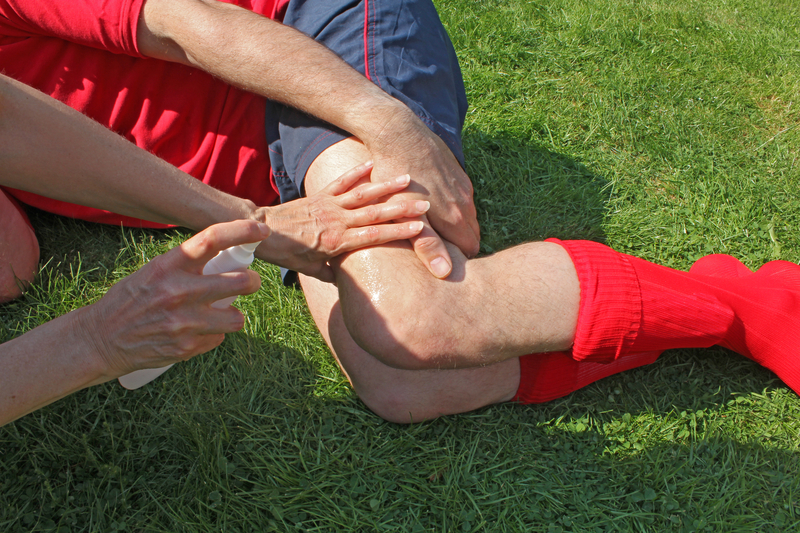 For example, ACL injuries, which are common in sports, can easily exceed $20,000 after surgery and rehabilitation. Furthermore, most General Liability carriers require an Accident policy with a medical limit of at least $25,000 as a pre-condition of covering a participant injury lawsuit claim. Higher limits such as $100,000 or $250,000 should be strongly considered due to the additional protection offered at rate that can be surprisingly affordable. No Internal Payout Limitations:– Many Accident policies have internal payout limitations, which are also known as sublimits or allocations. Examples include limits on certain categories of medical expenses such as surgeon’s fees, daily hospital room and board, doctor’s visits, physiotherapy, etc. Some plans include so many internal payout limitations that it would be impossible for the policy to ever get close to paying even 50% of the overall medical limit. Plan designs that result in significant unpaid medical bills increase the chances of litigation against the sports organization in an effort to find a “deep pocket.” Better Accident plans don’t have these internal payout limitations (with the common exception of dental benefits). Excess vs. Primary: Excess Accident insurance requires other collectible insurance, such as family health insurance, to respond first. There are three scenarios that can arise with high quality Excess Accident coverage: 1) if the existing family health insurance pays 100% of the bills, the Excess Accident policy will not respond to the claim, 2) if the existing family health insurance only pays 80% of the bills (due to its own deductible or coinsurance), the Excess Accident policy should pay the remaining 20% less any deductible, 3) if there is no existing insurance, the Excess Accident policy becomes primary and pays for 100% of the bills, less any deductible. Primary Accident insurance can be purchased that will pay without regard to other collectible insurance. However, in order to make it affordable, most carriers will “water down” the benefits by inserting an oppressive schedule of internal payout limitations (see section above). If such internal payout limitations are present, they can result in extreme dissatisfaction if the payout does not come close to covering the medical bills. Therefore, in most cases, high quality Excess Accident insurance is superior to Primary Accident insurance since high quality Excess Accident insurance will guarantee that the injured participant (or parent) does not incur significant out of pocket medical expenses. The fact that the payout is excess to any existing family health insurance does not diminish the important role that is played by Excess Accident insurance. The General Liability policy will likely have a warranty provision that requires Accident insurance to be carried on an injured participant as a pre-condition of coverage for a resulting lawsuit. Deductibles: Deductibles commonly range from $0 to $1000. Deductibles can result in significant premium savings. For example, increasing a deductible from $0 to $100 may result in a premium savings of 20%. From the point of view of the injured participant (and parent), deductibles in excess of $500 may result in financial hardship. However, sports organizations that only carry Accident insurance to satisfy the requirements of the General Liability carrier (and don’t perceive it as a member benefit) may want to investigate higher deductibles such as $1,000 or $2,500. Corridor vs. Disappearing Deductibles: A disappearing deductible is more favorable to the claimant as compared to a corridor deductible. A disappearing deductible is satisfied by payments made by other primary collectible insurance, such as family health insurance. On the other hand, a corridor deductible is not satisfied by the payment of other primary collectible insurance. Payout Period: The payout period is the time period for which incurred medical bills will be paid from the date of the injury. The payout period should always be at least one year. However, in cases where the medical limit is $100,000 or more, the payout period should be extended to two or three years. The insurance carrier will require a small additional premium for this enhancement. Any injury that approaches $100,000 in medical bills will likely result in the performance of medical services after one year. Covered Activities: The Accident policy should cover all sports organization approved and adult supervised activities including tryouts, practices, games, tournaments, non-sport outings, and travel to and from. In youth sports, many of the more serious claims arise from non-sport outings such as awards banquets, backyard cookouts, swimming parities, and celebration trips to restaurants, etc. As a result, coverage should extend to these activities unless they are not approved by the sports organization’s policies and procedures. As concerns coverage for travel to and from, some Accident policies cover only supervised group travel to and from whereas others cover individual travel to and from that is provided by a licensed driver. Covered Persons: All players and staff (paid and volunteer) should be covered. Staff normally includes but is not limited to coaches, assistant coaches, managers, umpires, referees, scorekeepers, concession workers, field maintenance workers, and administrators such as directors and officers. The definition of covered persons under the Accident policy should always be at least as broad as the General Liability carrier’s requirement to cover certain persons under an Accident policy. Accidental Death & Dismemberment (AD&D): AD&D offers a death benefit commonly ranging from $5000 to $25,000 payable in the event of accidental death. It also provides a dismemberment principle sum limit that matches the accidental death limit in the event of certain paralysis or loss-of-use accidents. The payout for these types of accidents is based on a percentage of the principle sum, depending on the severity of the loss. Disability/Loss of Wages: Some Accident policies offer a limited disability limit to reimburse certain compensated staff members, such as umpires, in the event that a covered accident results in loss of compensation. All Accident policies contain a long list of expected exclusions, such as injuries suffered while committing a felony, under the influence of drugs, etc. However, some exclusions are notable because they can be removed for an additional premium. Heart & Circulatory Malfunction: Heart attacks and strokes are generally considered sicknesses instead of accidents. Heat Illness: Some insurance carriers consider heat illness or heat stroke to be a sickness, whereas others consider it to be a covered accident. Previously Existing Injuries: Some Accident policy forms exclude previously existing injuries, whereas others do not. Sadler Sports & Recreation insurance has many existing Accident Insurance programs with pre-published rates that are listed on our program webpages. We can also customize an Accident insurance program for any organization.